In Greek mythology the gods of the mountains were early gods of the Greek pantheon, and were named as Protogenoi, primordial gods, and given the title of the Ourea. Ancient sources would commonly name ten Ourea, born to Gaia (the Earth), in the earliest period of the cosmos. These ten Ourea were Aitna (Etna), Athos, Helikon (Helicon), Kithairon (Cithaeron), Nysos (Nysus), Olympus, Olympus (Mysian Olympus/Uludag), Oreios (Othrys), Parnes (Parnitha), and Tmolus (Bozdag). The Ourea when talked of though, were normally described in terms of bearded old men; these gods were often known for their judgment and counsel, and would often arbitrate when contests took place. The mountains linked to the Ourea were also regarded as sacred places. Aitna was the Ourea of Mount Etna on Sicily; with the mountain standing at about 3329m. The Ourea of Mount Etna was anonymous in ancient stories, although the mountain was famed for being one of the locations of Hephaestus’ workshops, the smoke from the volcano being evidence of work being undertaken. The monstrous Typhon was also imprisoned beneath the volcano by Zeus. The mountain was also home to a nymph named Etna who decided upon the possession of Sicily when Hephaestus and Demeter over its ownership. Mount Athos is a mountain of Thrace, standing at 2033m. Ancient tales also named a Gigante as Athos as well as the Ourea, and it was the Gigante who was defeated by Poseidon in a fight, and buried subsequently beneath the mountain. Today, Athos is still famous as a sacred place, although today it famed as “Holy Mountain” and part of the Autonomous Monastic State. Helikon (Helicon) was the Ourea of the mountain in Boeotia that bore his name, with the mountain itself standing at 1749m. Helikon, the Ourea, appeared famously in one Greek mythological tale, for he entered a singing contest against another Ourea, Kithairon. A secret vote was held in regards to the winner of the contest, and Hermes would declare Helikon bested. The mountain that was Helikon would find particular fame in Greek mythology as the homes of the Muses. The victor in the singing contest was Kithairon (Cithaeron), an Ourea who gave his name to another Boeotian mountain, this one standing at 1409m. Aside from the singing contest Kithairon was also famous for offering advice to Zeus in order that the god could be reconciled with the angry Hera. The mountain that was Kithairon was also famously linked with the rituals of Dionysus in stories of Greek mythology. So far, all of the Ourea, have been associated with a specific place, and whilst Nysos was associated with Mount Nysa, no exact location for the mountain was ever given. Some ancient sources placed it in Libya, Ethiopia or Arabia, and some stated it was as a double for Kithairon. The link with Kithairon comes from the fact that Nysos was sometimes referred to as the nurse or guardian of the young Dionysos in Greek mythology. The most famous of mountains in Greek mythology was of course Mount Olympus, home to the Olympian gods; and the mountain standing at 2919m is the highest in Greece. In Greek mythology, there was of course supposed to be an Ourea associated with Mount Olympus, although the mountain god is hardly ever mentioned in ancient sources. Ancient writers would also tell of a second Ourea named Olympus, linked with a mountain in Anatolia, a mountain referred to as Mysian Olympus (Uludag), which stands at 2543m. The Ourea Olympus is not overly famous, but was of his sons, a satyr called Marsyas, was the first to make use of the flute. Marsyas would fall foul of Apollo though, when the satyr challenged to god to a musical contest. Oreios was named as the Ourea of Mount Othrys, a mountain famed in Greek mythology for being the home the Titans during the Titanomachy. 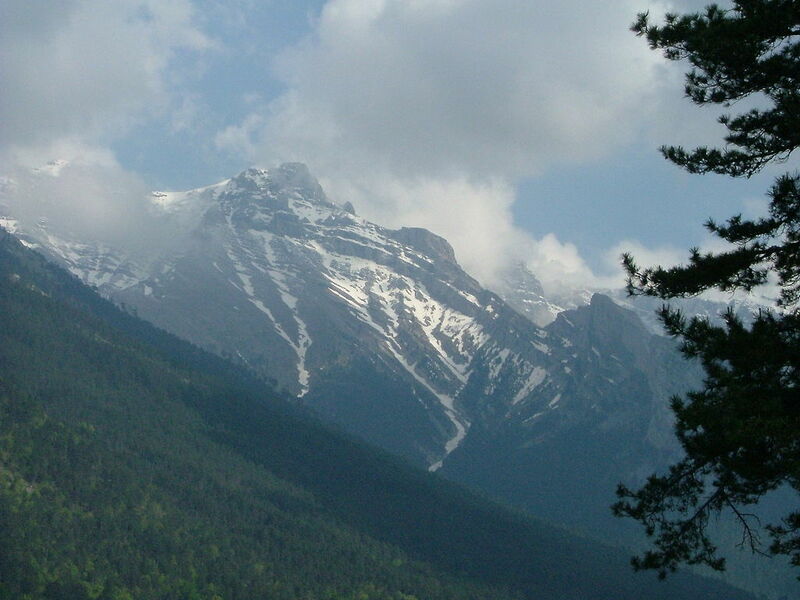 Mount Othrys is to be found in central Greece, and stands at 1726m. In Greek mythology Oreios would be named as father of Hamadryas, the first oak tree nymph, and the forest spirit Oxylos. Parnes was the Ourea of Mount Parnitha on Attica; the mountain has an elevation of 1413m. The god of the mountain would not be mentioned in ancient stories, although the mountain was considered to be one sacred to Zeus.